Are you searching for the perfect Christmas gift for a child? Or something from Santa? Look no further! These tips will keep your mini-mes entertained for hours! Wooden toys are solid and timeless. And also bang on trend again! A growing number of parents prefer to buy sustainable, durable toys and of course wooden toys tick every ecological box. 10 oakwood blocks in fun, primary colours? 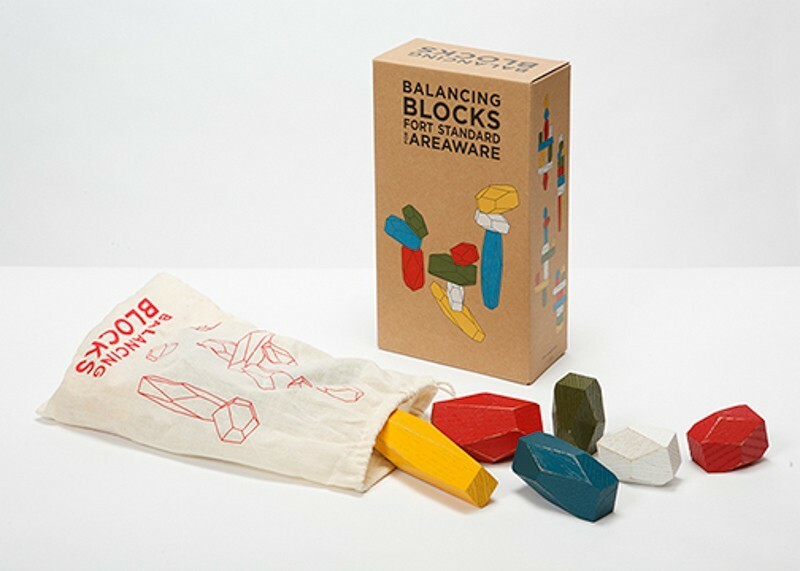 While this may seem a boring gift at first glance, these balancing blocks will provide plenty of thrills and fun for the entire family! The blocks allow you to test and practise your balancing and height skills. This also looks like a real vintage toy set thanks to the finish. Back to basics! We all prefer to give environmentally-friendly toys as gifts instead of investing in multimedia and screens. 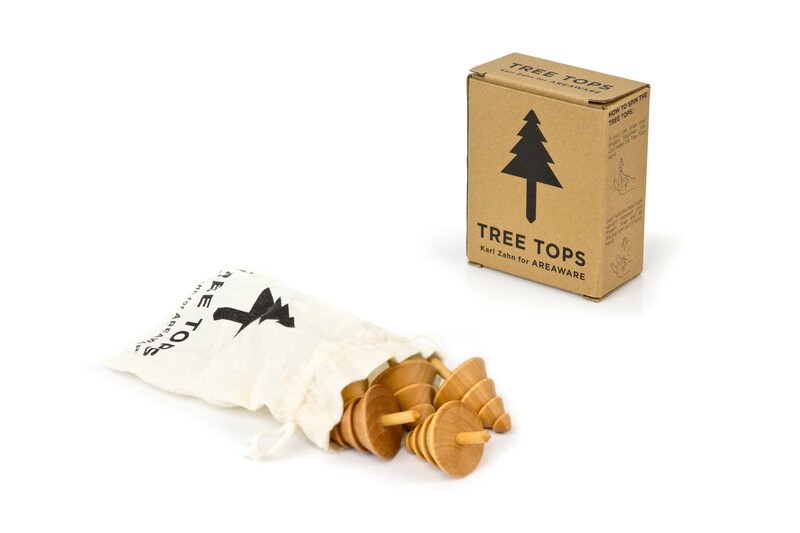 This simple gift consists of a set of small spinning tops, made of spruce. Take a closer look at the spinning top in your hand. It resembles a small spruce. Can you think of a more original or simpler gift? Aspiring and established architects will love this Blockitecture set of blocks. In fact, they may even have it on their bucket list. Build an endless array of upbeat, optimistic, green cities, to your own design. This toy is timeless and requires an understanding of spatial dimensions. The wooden blocks slide perfectly into each other and are hand-painted. Besides Blockitecture, you can now also buy Blockitecture garden city deluxe, to add some greenery to your fictional city. 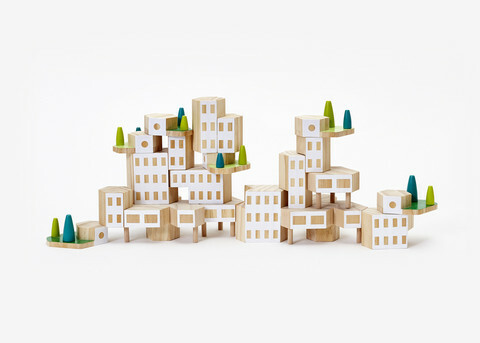 Blockitecture, a timeless toy that requires creativity and an understanding of space. 35 euros. Blockitecture garden city deluxe. 100 euros. While this is not a wooden toy, it still is the perfect gift idea for a child. The designers of this card game left out as much as possible of the original design of the card game (as everyone knows it). All the icons, meaning the hearts, the diamonds, the clubs and the spades, have been stripped down to simple geometric shapes. Less is more! It is less distracting during the game, making this the perfect set for children. 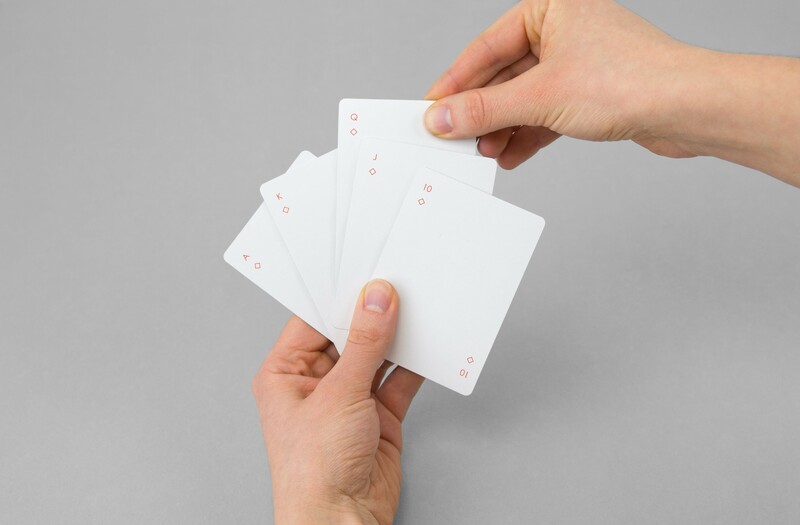 Minim playing cards. 15 euros.